How does Södermalm score on the hipster scale? Correct enough. The word became an insult about 20 minutes after it arrived in Stockholm, which pretty much says it all about hipsterism in general and in Stockholm in particular. One of the cornerstones of hipster culture is naturally to be cooler than the next person; as soon as something shows the merest hint of becoming mainstream, the hipster needs to move on to keep her advantage. 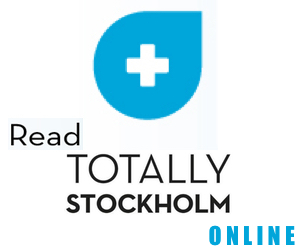 The problem in Stockholm though, which Miike Snow singer Andrew Wyatt calls attention to in another interview in this issue of Totally Stockholm, is that it seems to be almost frowned upon to express your personality too much here – unless you are a rock star or come from New York. Andrew himself, being both, does alright on his visits, but he has a point. He thinks it probably comes down to the social codes developed over hundreds of cold and dark winters. But what Stockholmers, fearful of expressing their personalities in any manner that might disturb this rock-solid Swedish behaviour code, have done is to move in unison and morph into this coherent mass of hipsterdom. That advantage of being cooler than the next person mostly applies to Stockholmers compared to people in other cities or countries. The uncooler lot are probably blissfully unaware of their failing to match the unrivalled trendiness of your average punter in the self-proclaimed Scandinavian capital. The one area where this phenomenon is supposed to be most significant is on our dear isle of Södermalm – open any travel report after a foreign press visit and you will be able to read about the unabated level of full-on trendiness on show everywhere, from fashionable people to fashionable bars, obviously with the rough and rugged twist that encapsulates the flavour of the day. Perhaps they have inserted a quote such as “it’s very Brooklyn”, possibly cited by someone they speak to in a bar (who probably has never been to Brooklyn, but that’s not the point). But that is the key phrase I want to dissect in this article. In Stockholm and, possibly even more so on Södermalm – anything labelled with the currently magical word “Brooklyn” could be bottled and sold by the bucketloads. There is a reason why Brooklyn Lager’s second biggest market (after New York itself) is not another American city but, perhaps surprisingly, Stockholm. In a recent Grub Street, New York article titled “Så Brooklyn: How Kings County Became the Coolest Thing in Sweden,” they focus on Swedes looking to New York for cultural influence, and state that we started to look towards Brooklyn around 2008 when local food, handicraft, folk music and a general DIY-approach became in vogue, in part due to the recession. The ironic thing is that at the same time as people in Stockholm look to Brooklyn due to what they view as something very authentic, and the hub of alternative pop culture, some people in New York might at the same time be upset by the de-authentification of the same place. A further irony; the assertion of Brooklyn as something wild and slightly dangerous adds to the appeal for Swedes who have grown up in a rather safe environment, but without the last ten years of gentrification, and if Brooklyn actually was that wild and dangerous, the influx of Swedes and the subsequent export of their culture to bars such as Kåken would probably never have occurred to the same extent. So how well does Södermalm square up in comparison to the hipster hotspots of the US such as for example Brooklyn’s Williamsburg, viewed upon as the birthplace of the hipster movement of the last decade? Last year Forbes magazine did an article about America’s Hippest Hipster Neighbourhoods, rating the top 20 districts with the most hipster appeal in the US. The criteria taken into account ranged from building aesthetics through walkability, the number of coffee shops per capita, the assortment of food trucks, the number and frequency of farmer’s markets, the number of locally-owned bars and restaurants, all the way to what percentage of residents work in artistic occupations. The winner was Los Angeles area Silver Lake, nestled between Echo Park and Los Feliz. A hipster heaven with Modernist architecture, a booming arts scene, plenty of food trucks, farmer’s markets and funky bars. Up until the mid-1990s, suburban homes only accessible by cars were a sign of social status. That has probably changed to a certain extent, over the last decade or so there has been a shift – especially in hipster think – towards wanting to live in a bohemian inner city neighbourhood where you can walk or cycle to whatever you need or want. And when it comes to walkability, the site Walkscore – with the simple slogan “Drive Less, Live More” has developed a method of digesting data to measure how easy it is to live a car-lite lifestyle. Their “board of urban planning experts” have constructed an algorithm where points are awarded based on the distance of amenities in each category. If you type in Södermalm it gets a score of 70 on a scale up to 100 points. But if you narrow the search down to a specific address like Nytorget the score goes up to 77 or Bergsunds Strand at 83. Compare this to Silver Lakes 78 and Söder is not doing that bad, although Williamsburg gets 93 and San Fran’s Mission district scores 94 and both get the coveted epithet of “Walker’s paradise”. If we look at the recipe of other ingredients that get mentioned as a contributing factor to a good score in their hipster index and apply it to Södermalm, we will be able to see how it all stacks up. Follow me. What’s missing: Art walks, Bike trails, Converted warehouses, Converted gas stations and Food Trucks (see separate article).